If it's after hours and you'd like a quick response, submit the form on the right and we'll get back to your as soon as possible. As a Reliable and Honest Roofing Company in Rockwall, we hold ourselves to a high standard, and hope you will too. Our Work speaks for itself when we say we offer only Quality products and services. We look forward to hearing from you! Rockwall Metal Roofing is on your side. 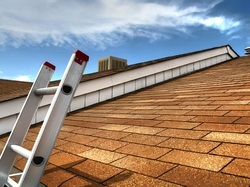 RFREE Estimates on ALL ROOFING SERVICES!